8 months after its Interest Check, GMK Jamón will finally be available for pre-order on Massdrop. The set will be available for pre-order for around 4 week starting on February 4th, just in time for the Chinese New Year and the start of the year of the pig! Click here and check out the drop page before the group buy goes live. GMK Jamón, which has been inspired by a type of cured ham from Spain, is structured around a Core kit that provides basic compatibility for both standard and non-standard keyboards that range from 60% to TKL. 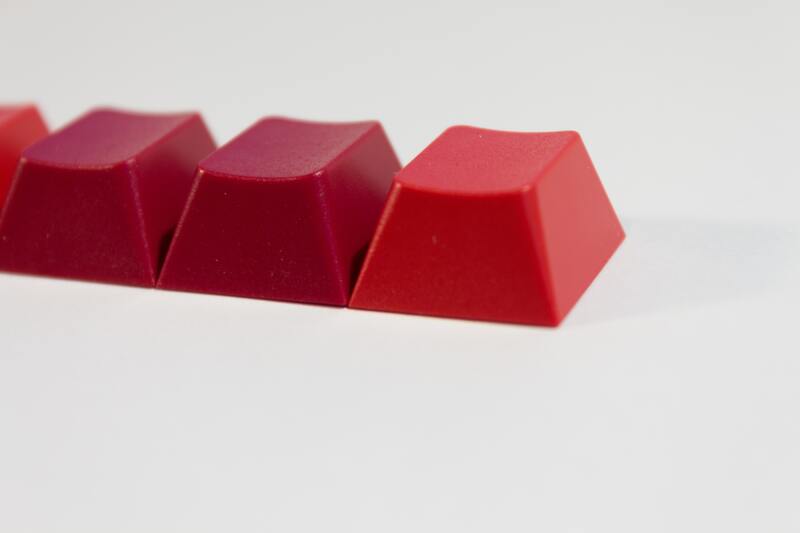 Additionally, 4 extension kits will be available for pre-order: Numpad, ISO UK, Forties & Split, and Space Bars. These kits extend the Core’s layout compatibility and provide the set with enough key to cover 1800 and fullsize keyboards, ISO boards, ortholinear and ergo keyboards or the Uniqey C70. Finally, three novelty kits complete the set and allows an extra level of customization by providing some accent keys, and some exclusive symbols made to match the set’s theme. Jamón will be the first GMK set to test this unorthodox approach where the numpad and ISO keys have been split from the Core kit. While this approach has the negative aspect of increasing the price overall for those that want all of the kits, it will be very benefitial for many others. One of my goals for this project was to reach the $99.99 pricepoint for the Core kit at 500 units sold, this isn’t an easy task, and it required to optimize the kit as much as we could. By doing this, we not only make the set more accesible to newcomers compared to other custom sets with bigger base kits, but we can also benefit those with 40% or ergo keyboards. Soon after GMK Jamón is launched, novelkeys.xyz will host a group buy for two new Jamón-related deskmats. Color sampling was finished around the second week of January, and we already have the final colors for the set.